“It doesn’t feel good at all. It took a long time to save that money,” Dougherty said. Ryan Kath reports on the case of a house cleaner who stole eight different checks amounting to $72,000 from a client. For seven years, Eve Dougherty trusted the woman who cleaned her Charlestown home. There was never a reason to be suspicious. “Absolutely nothing. Not even a missing lipstick,” Dougherty said. However, that quickly changed in October when Dougherty noticed something strange: A check made out to Aparecida Rodrigues Alves (known to clients as “Amanda”) that she did not write. A feeling of dread quickly took over upon seeing the $2,450 check. It only got worse. A closer look at the banking account revealed it was far from an isolated incident. Dougherty found eight different checks made out to the house cleaner over a one-year period. When Eve Dougherty went to her branch of Citizens Bank to report the fraud, she was even more surprised about the response she received. Daugherty explained that it was money she and her husband had set aside in a Citizens Bank account for their three kids, all currently attending college. As a result, she only really looked at the balance when it was time to write a check for tuition. Dougherty reported the alleged scheme to Boston police. In November, Alves was arraigned in Charlestown Municipal Court on charges of identity fraud, larceny and check forgery. Aparecida Rodrigues Alves was arraigned on charges of identity fraud, larceny and check forgery. After pleading not guilty, the Malden woman covered her head with a jacket as she left the courthouse, remaining silent when the NBC10 Boston Investigators asked if anyone at the bank had ever questioned her when she cashed the checks. That is one of the big questions Dougherty has: Why were there no red flags when a woman she paid roughly $300 per month for years suddenly started cashing checks for thousands of dollars? One of the alleged forgeries from last June is particularly notable: $23,708. In the memo line, it reads “car.” The check is made out to Aparecida Alves instead of the typical Amanda Alves that Daugherty would write. When Dougherty went to her branch of Citizens Bank to report the fraud, she was even more surprised about the response she received. “They basically said their responsibility is to send me a statement and it’s my responsibility to look at it. Other than that, ‘Sorry.’ I couldn’t believe it! That just doesn’t seem right,” Dougherty recalled. 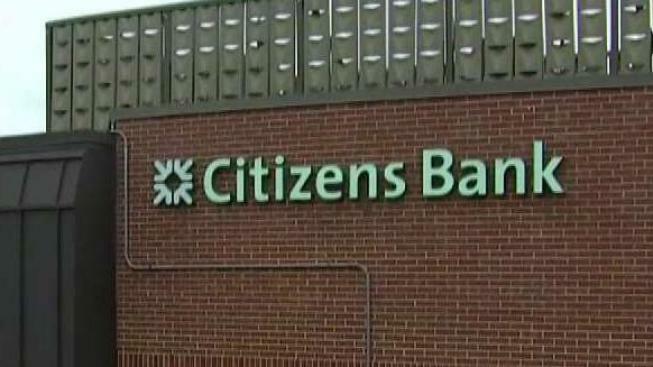 A spokesman for Citizens Bank said it could not discuss specific customer relationships for privacy reasons, but did say the institution has invested in safeguards that have helped reduce the financial impact of fraud in recent years. Ray Ausrotas, a business and civil litigation attorney in Boston, said the law is not customer friendly when it comes to check fraud, especially compared to some of the consumer protections in place for credit card transactions. In most cases, forged checks need to be caught within a 30-day window. Consumers can only wind back the clock a year if they can prove the bank was negligent and “failed to exercise ordinary care” when processing the bogus transactions. Ausrotas acknowledged that can be a difficult and costly case to prove. A bank’s main obligation is sending a monthly statement and the onus is on customers to catch suspicious account activity. Dougherty said she later discovered the house cleaner had even plucked the banking statements from the pile of mail, an apparent effort to cover her tracks. The Charlestown mom is now coming to the realization the sizable chunk of college savings is likely gone for good.